Lyon have filed a legal complaint over Marseille supporters signing songs about damaging their Groupama Stadium at this month's Europa League final, seemingly citing the actions of Manchester City full-back Benjamin Mendy in a statement on the matter. Marseille secured a place in the final at the home of their bitter rivals with a 3-2 aggregate win over Red Bull Salzburg on Thursday. They will face Atletico Madrid on May 16 and the prospect of claiming a major trophy on enemy territory inspired a song among a section of the Marseille support, which references Lyon president Jean-Michel Aulas and contains the line: "We will break everything at yours." Mendy, an ex-Marseille player who has expressed support for his former club throughout their run in the competition on social media, posted a video after the match in Salzburg that showed him singing the song in celebration. "We will break everything at yours, we are in the final and we will break everything at yours," the 23-year-old sang in a clip on his Instagram story. 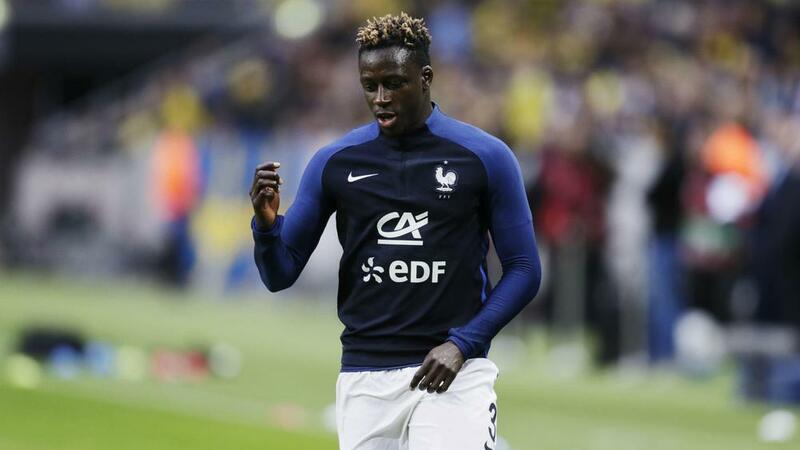 On Friday, Lyon announced they had lodged a complaint with the city's District Court claiming the provocation of criminal damage, in which the club made an apparent reference to France left-back Mendy. The statement read: "In recent days a violent controversy against Olympique Lyonnais' sports institution and its president has developed on social media in particular, irresponsible and dangerous [songs] about inviting [fans] to break everything at Groupama Stadium on May 16, the day of the final of the Europa League. "A French international footballer, playing in England, even came to lend his voice and provided encouragement to individual calls, as well as those from groups of irresponsible supporters, to 'break'. "In view of the danger resulting from these inadmissible behaviours, Olympique Lyonnais has decided to lodge a complaint of provocation with the Public Prosecutor's Office of the District Court of Lyon for the crime of destruction, damage and deliberate deterioration, [which is] dangerous for the people. "Olympique Lyonnais expresses itself with the hope that everyone will be brought to their senses." Mendy responded by retweeting the statement and joking: "Ah, so that is why you did not answer me for my two tickets, Jean-Michel?" The City defender went on to explain the song as part of Marseille and Lyon's long history of making fun of one another and urged fans to behave at the final. "We've been teasing each other for years and we're struggling with OL [Lyon], there have always been songs, tifos and so on," he said. "There's no more rivalry than usual. I invite all fans at the game to support [their team] in the respect of the stadium that will host them. Good finale to all."